Yago is a jungle boy and Morena is a city girl. We’re in Misiones, the small rural town where Yago lives. But everything is about to change when New York–based Morena arrives running away from her past. We learn a little bit more about Morena’s background: as a soon-to-be bride in New York, she was left in the church waiting for her fiancé. Maybe that explains her close-to-a-nervous-breakdown behavior! Yago is a simple man from the jungle—a man of brave deeds but few words. When Yago meets Morena, a talkative city slicker, he doesn’t know what to make of her. But he does know how to save her from an attacking puma. A wounded puma is an angry puma, and with that in mind, Yago and Ramón make a plan. Morena tells her puma attack story. Will Laura be as impressed as she was with Tarzan’s bravery? Yago is thinking about his deceased mother while Lucio is at his sister’s grave… but will mourning make Lucio’s illness worse? Yago goes to his mother’s grave for some peace and comfort. Ramon goes to the bar. But we are left wondering: Is the puma still on the prowl? All is not quiet in the jungle…. There’s a tango show for the tourists….But the visiting city girls want to hear the real local music, so off they go. In the meantime, we learn a bit about the heartache, illness, mourning and double lives within one rich family. Did their missing nephew die? Somehow, we suspect not. Oh the intrigue! And, back in the jungle, don’t forget the menacing puma! On the dance floor, Yago and Morena enjoy another chance encounter. One raised in the company of man, one raised in the company of animals, these two obviously have wildly different outlooks. But they move well together…. Meanwhile, a family’s tragic past has someone very tense. Why is Aldo so wound-up? Morena gets a little tripped up on the dance floor with Yago, but it’s just because it’s not her best dance. She shows him her other moves… But then someone else moves in. Meanwhile, the puma is still on the loose, and the dirty business of taking care of it gets dirtier. Bad dreams awaken us in the middle of the night. Recurrent bad dreams are especially troubling. Luckily, poor Yago has somebody to talk to… even if that somebody doesn’t listen as well as he’d like. Meanwhile, things are getting complicated for a certain mystery woman; juggling men is never easy. Cassandra is leading a double life… will she take her friend’s advice to play it safe? Others are getting into trouble, too. The gringo seems to have gone off course on the puma hunt, but then his boss, Ramon, goes off course as well. When the police come around asking Ramon questions, will he crack? Yago has news for everyone: good news for some, not so good news for others. Ramon shows up at Yago’s house drunk, and finds out something frightening. Meanwhile, Yago finds Morena basking in the spray of a waterfall and tells her some news of the more reassuring kind. While people are mourning Victoria and asking for her forgiveness, Lucio hears the test results from his doctor. And after hearing that the French guy could tell all once he gets out of his coma, Ramon goes to his bedside. Back in the jungle, Morena finds out the puma isn’t the only thing to worry about while hiking. One brother has terrible news and the other brother is supposed to be happy about it? And who was Lucio kissing and why didn’t he introduce her to Aldo? What kind of family… ? Yes, it’s messy. Meanwhile, Yago finds the lovely, if high-strung, Morena hanging out in the jungle. Will he save her yet again? Aldo tells his girlfriend about Lucio’s imminent death and, more important, his plans to keep him from his share of the family fortune. Is Lucio’s new girlfriend a threat like Aldo thinks? Meanwhile, Yago has just rescued Morena from the trap, and there’s nowhere to bring her but… back to his place. In this episode, we witness the fastest getting-drunk scene ever recorded! Morena is a giggling mess after a single shot of the local hooch, called yaco. Naturally, she stumbles into Yago’s steady arms. A marriage proposal - with a shadowy figure secretly watching. A jungle-style shower - with a whopper of a hangover to suffer through. And then there's a suspicious spending spree.... Another installment of Yago heaps on the intrigue! Bathing at Yago's prompts a cat fight outside. The cat fight then turns into a full mud wrestling match. After the mud wrestling breaks up, we are left wondering who is and who isn't Yago's love interest. Then a kiss clears that up. Has the lovely Morena had enough of the jungle? The city girl seems ready to leave Yago behind. Meanwhile, what secrets did the Gringo's wife spill? Ramón is worried. And as news gets out about Lucio's diagnosis and plans for marriage, family members have very different reactions. Who is the familiar-looking brunette toasting to the (poor) health of her future husband with another man? Oh, the duplicity! Meanwhile, the Gringo's whereabouts might not be a secret for long... Another installment of "Yago" is packed with plot twists. Morena can’t find something very important to her and her flight is leaving soon… Yago on the other hand finds an unexpected clue to his past… don’t miss a beat of this interesting drama. Yago has found Morena’s picture of her grandparents and he recognizes his mother in it… What does it all mean? He visits Morena at the hotel to find answers to this unexpected turn of events. Finally Yago learns the truth about his family shown in the picture he took from Morena. His adoptive father reveals it all. What will happen next in his life, what unexpected turns will it take? Yago's terrible discovery is about to turn his life upside down. Lucio is also ready to make drastic changes not aware of how dramatic the consequences could be. One thing is certain: everything will change pretty soon. Gardel is devastated after Yago discovered the truth. Is he going to be able to recover Yago's love? On the other side, Ramón is worried about the safety of his own secrets. Ramón and Yago argue about Ramón's assasination of a puma and Yago threatens to turn him in. The discussion escalates to a new level when an unexpected visitor shows up. While Yago pleads with Ramón to spare Morena, Lucio laments not having met Melina earlier and Aldo begs for Elena’s forgiveness with a single rose. When Ramón's guilt pushes him over the edge, Yago is nowhere to be found. Meanwhile, Lucio goes ahead with his plans for the perfect wedding. Gardel and Yago reveal painful truths to one another following Ramón's death as Morena struggles to make sense of her encounter with "Tarzan." Meanwhile, Lucio continues to get his affairs in order for his impending nuptials to the scheming Cassandra. 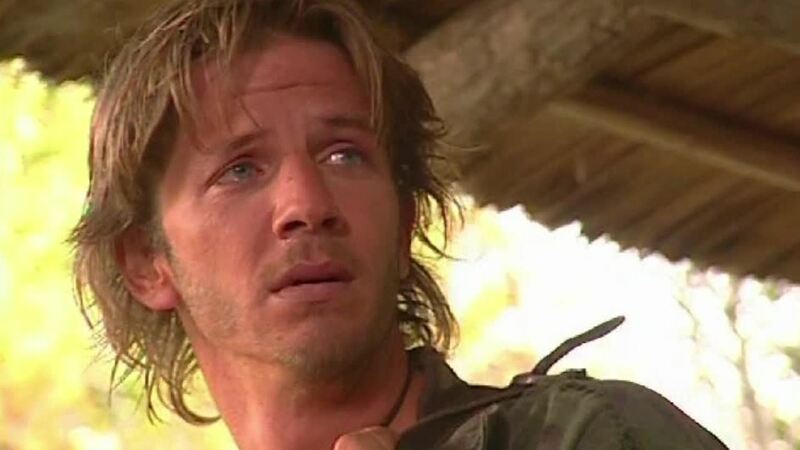 Yago wishes to abandon the jungle and find his past. He is ready to go to Buenos Aires to search for his true family, which causes great distress for Gardel who has raised him as a son. As Yago devises a plan to find his family in Buenos Aires, Gardel begins to reveal more information and his willingness to help. Gardel and Yago say their goodbyes as Yago prepares to leave for Buenos Aires. Meanwhile, Morena decides to leave New York and return to Buenos Aires for good. Lucio finally introduces Melina to his family. Yago's trip to Buenos Aires begins badly as his motorcycle gets stolen. A streetwise guy named Celso offers to give him a hand, but can he trust him?! Meanwhile, Lucio finally introduces his beautiful bride-to-be to his family. An ugly and dramatic confrontation ensues between Casandra/Melina and Aldo Sirenio in which both threaten to expose one another. But who has more to lose? Yago reveals to his new friend that his family comes from money, but all he knows about them is their last name. Morena's grandfather works as a cleaning person in that very household.